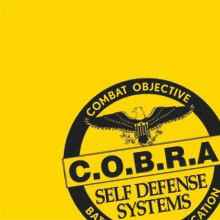 FREE ONE DAY COBRA SELF-DEFENSE CAMP!!! The Dojo is offering a FREE 4 hour self defense class to ANYONE 12+ years old!! Contact us NOW to reserve your spot or if you have any questions!! The first camp.is April 19th and it is filling up fast.